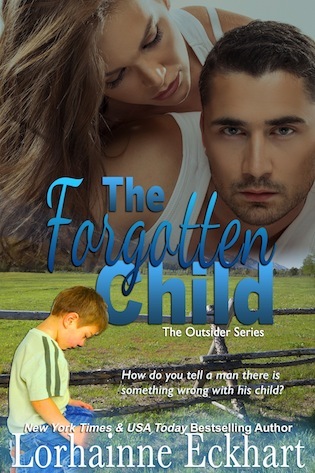 In THE FORGOTTEN CHILD, Brad Friessen wasn’t looking to love again. But what he got was a woman who shook his lonely bitter world upside down, and touched him in a way no other woman could. Emily Nelson, a courageous young mother, ends a loveless, bitter marriage and strikes out on her own. She answers an ad as a cook and live-in caregiver to a three-year-old boy on a local ranch. Ranch owner Brad Friessen hires and moves in Emily and her daughter. But Emily soon discovers something’s seriously wrong with the boy, and the reclusive, difficult man who hired her can’t see the behavior and how delayed his son is. So Emily researches until she stumbles across what she suspects are the soft signs of autism. Now she must tell him, give him hope, and help him come to terms with this neurological disorder—to take the necessary steps to get his child the help he needs. As their lives become intertwined, their attraction is unavoidable—a connection sparks between them. But just as they’re getting close, Brad’s estranged wife, Crystal, returns after abandoning the family two years earlier. Among the shock and confusion is one disturbing question Brad can’t shake: How does Crystal know so much of his personal business, the inner working of the ranch, and Emily’s relationship with his son? Crystal must’ve had a plan, as she somehow gains the upper hand, driving a wedge in the emotional bond forged between Brad, Emily, and the children. The primary focus for care and therapy of three-year-old Trevor is diverted. The lengths to which Crystal will go, the lies, the greed, just to keep what’s hers, are nothing short of cold and calculating. Emily’s forced out of the house. Brad fights to save his boy, to protect what’s his, and struggles over his greatest sacrifice—Emily, and the haunting question: Has he lost her forever? New York Times and USA Today bestselling author Lorhainne Eckhart recently received the 2016 Readers’ Favorite Award for Suspense and Romance for her two titles Vanished & The Bloodline. With over fifty titles under her belt, her big family romance series are loved by fans worldwide. Books that celebrate love, family, commitment, hope, and making a relationship work. With flawed strong characters, characters you can relate to. Lorhainne writes the kind of books she wants to read. 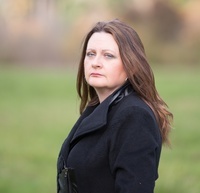 She is an award winning author and frequently a Top 100 bestselling author in multiple genres, such as romance, western, military and mystery/suspense. She has written multiple series, including The Outsider, Walk the Right Road, The Wilde Brothers, Saved, The Friessens, and her two newest additions, Married in Montana, and her high-stakes suspense and sizzling, red-hot romance series, Kate and Walker, Deadly, Dangerous and Desired.